When I first read the Alice books, I imagined the Red Queen’s biscuits as the kind I would get at KFC, buttery and flaky and completely forbidden by my anti–fast food parents. Little did I know that Dodgson was referring to the British version: water crackers that are more likely to be eaten with cheese than fried chicken. 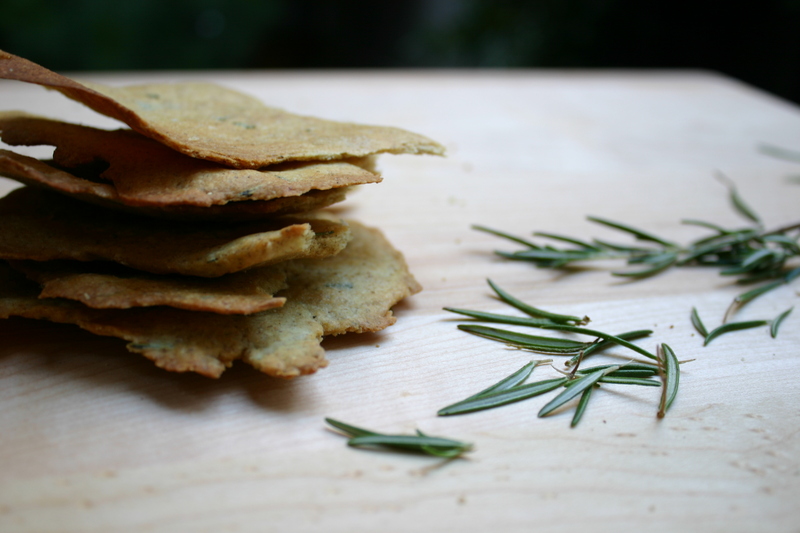 Crackers, too often, are neither flaky nor buttery. At best, they’re boring; at worst, they turn to dust in your mouth, Alice-style. 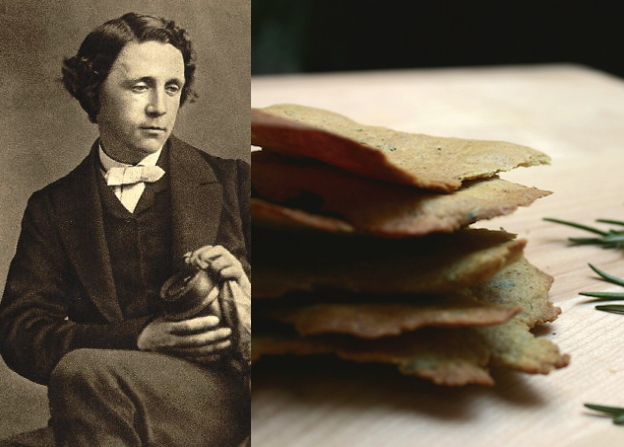 These are not the Red Queen’s crackers—unlike classic water crackers, they include healthy doses of olive oil and sea salt, both additions that Dodgson likely would have frowned upon. But Red Queens need to be defied sometimes, and we’re all adults now, so go ahead and use them liberally. I recommend it. 1. Preheat oven to 450°F with a heavy baking sheet on middle rack. 2. Stir together flours, rosemary, baking powder and salt in a medium bowl. Make a well in center, then add oil and 1/2 cup water and gradually stir into flour mixture with a wooden spoon until a dough forms. Knead dough gently on a work surface. 3. Divide dough into 3 pieces and roll out 1 piece on a sheet of foil, as thin as possible. 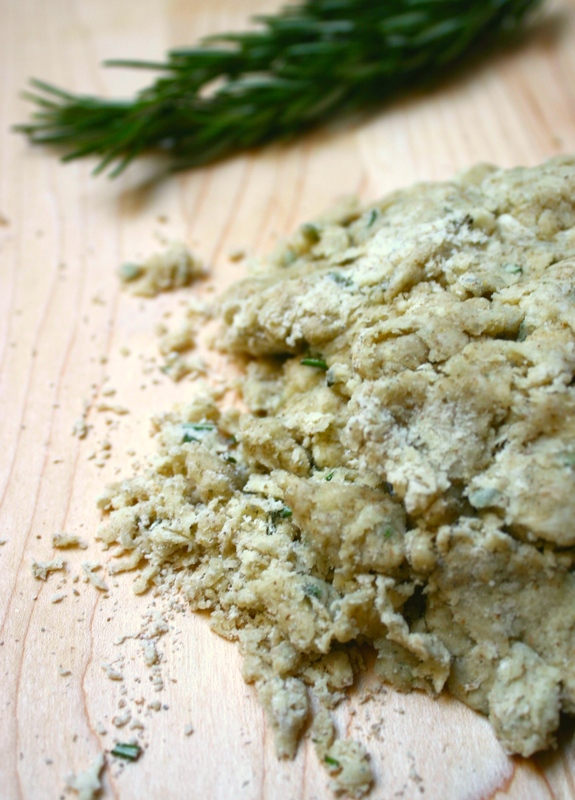 Press clusters of extra rosemary leaves into dough and sprinkle with sea salt. Poke dough all over with a fork. 4. Slide foil onto preheated baking sheet and bake until crisp, pale golden and browned in spots, about 5 minutes. Transfer to a rack to cool. 5. Repeat with remaining dough in 2 more batches. When crackers have cooled, break into rustic shapes. In that photo, what is he holding in his hand?? 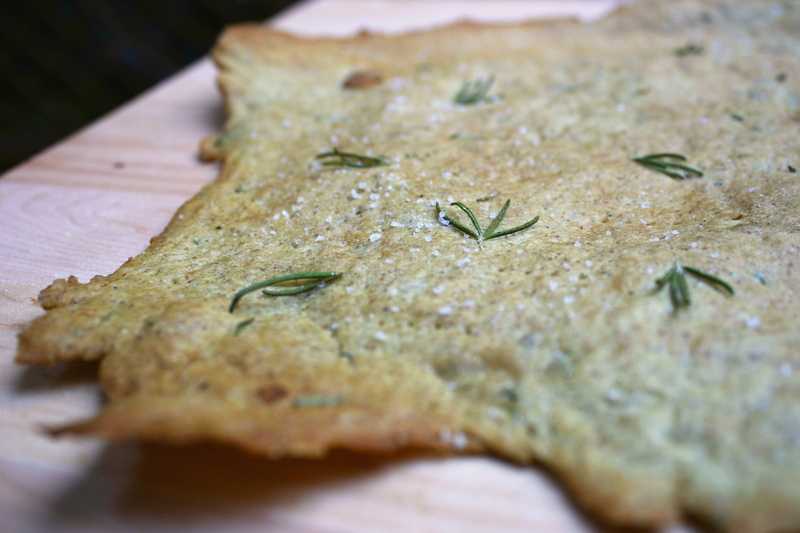 Thanks for this recipe; I have a granddaughter named Rosemary (named after the plant), so I cherish all rosemary recipes. hey, I actually have all those ingredients right now! this should be a project for tomorrow evening. Lovely, as usual. I, too, always thought the Red Queen’s “biscuits” were the fluffy sort (must be because I’m an American? ), and was always confused about why she would be carrying them around with her as snacks. It was the White Knight that I hated so much. All that falling off the damn horse. What was THAT about! Thanks to WordPress, I just stumbled across your blog and love the way you combine literature and cooking. Kind of wish I’d thought of it first 🙂 Looking forward to reading your past posts and seeing your new ones- I’ve added you to my Feedly news feed so I miss nothing. Looking forward to trying the recipe too. I’ve made cheese crackers, but am ready to branch out. I’m afraid you are mistaken. I believe he was most definitely speaking about, what you would call cookies. You will find that “biscuits” in UK parlance are invariably sweet, although they can be quite plain.